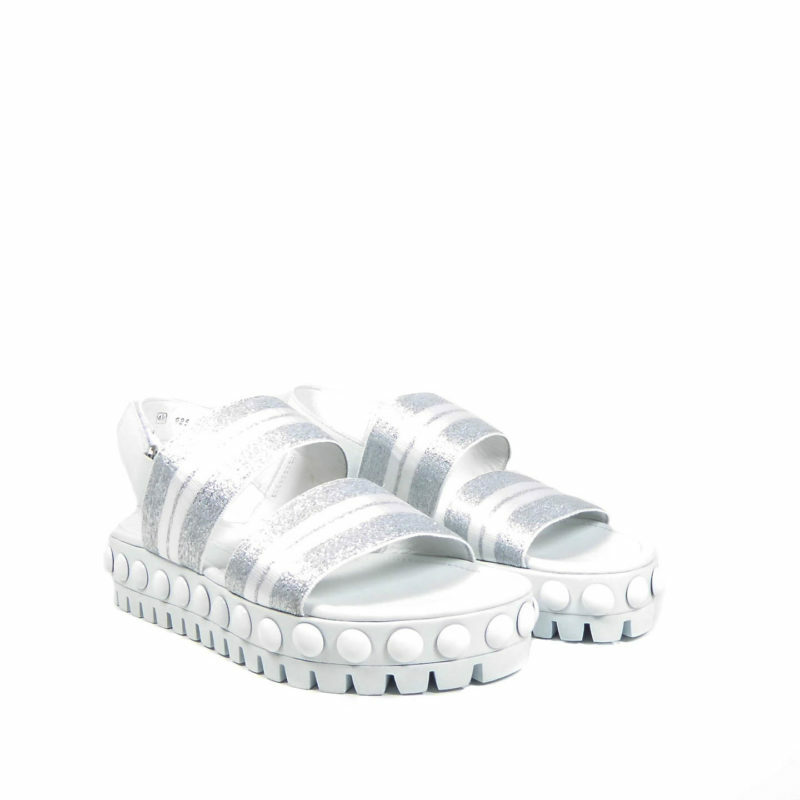 Chunky high summer sandal, featuring a 2 inch moulded flatform sole with patent flat stud trim. The upper is made up of 2 striped thick fabric straps and a velcro adjustable fastening. 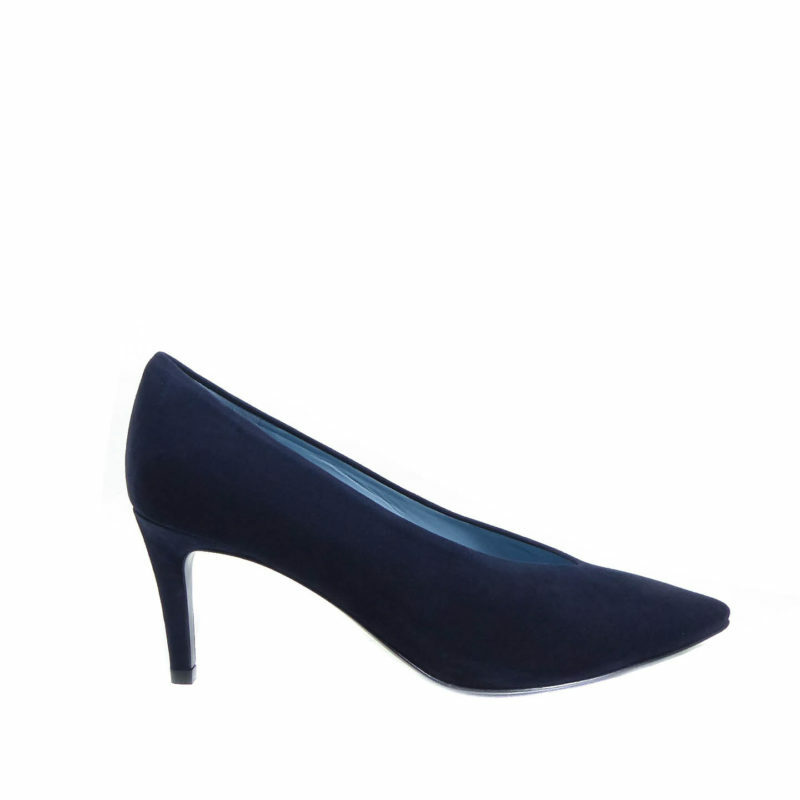 Fabulous for wide legged trousers and dresses.